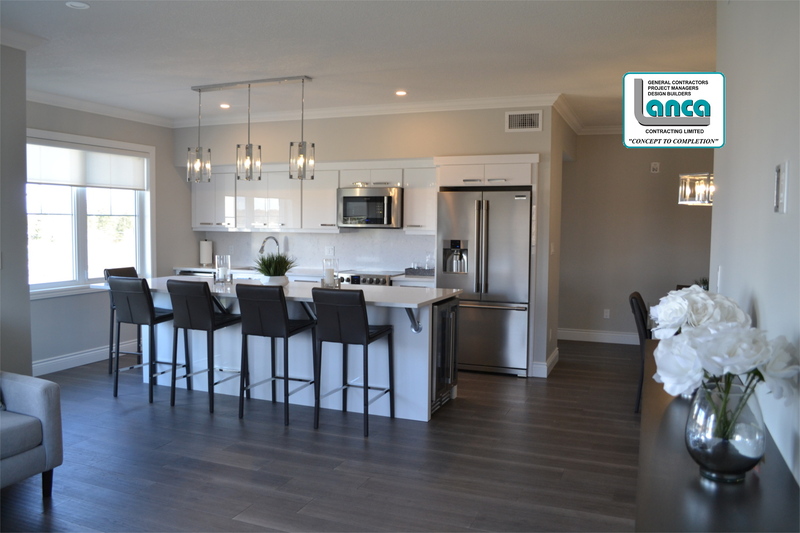 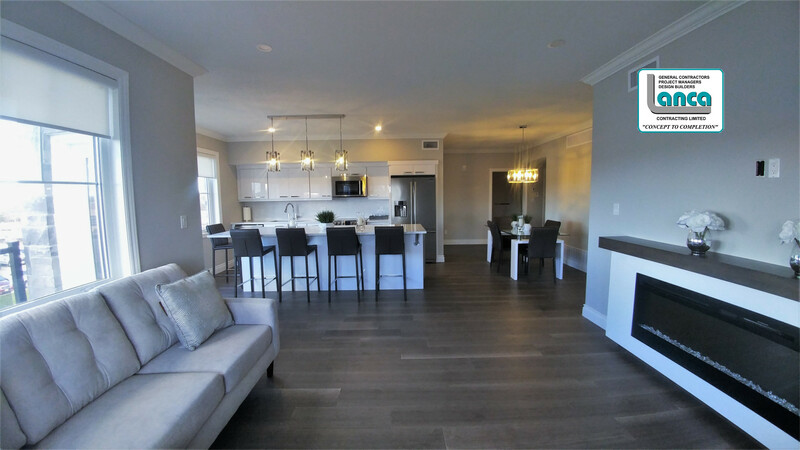 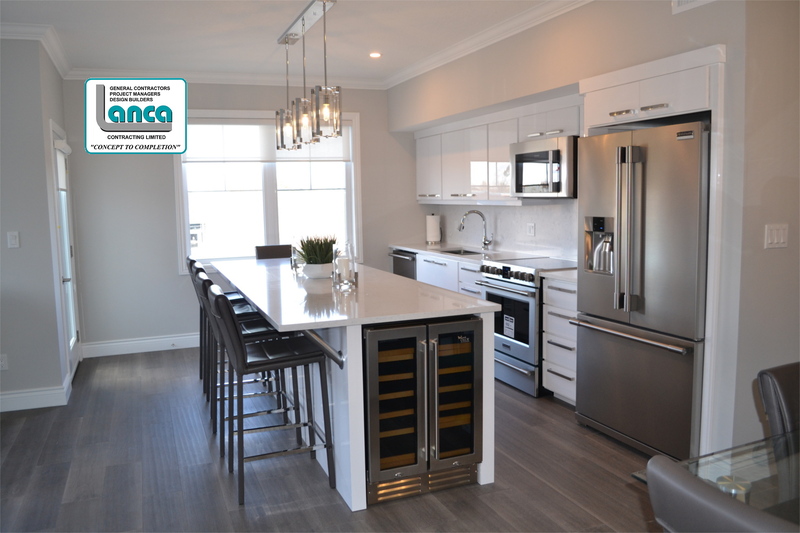 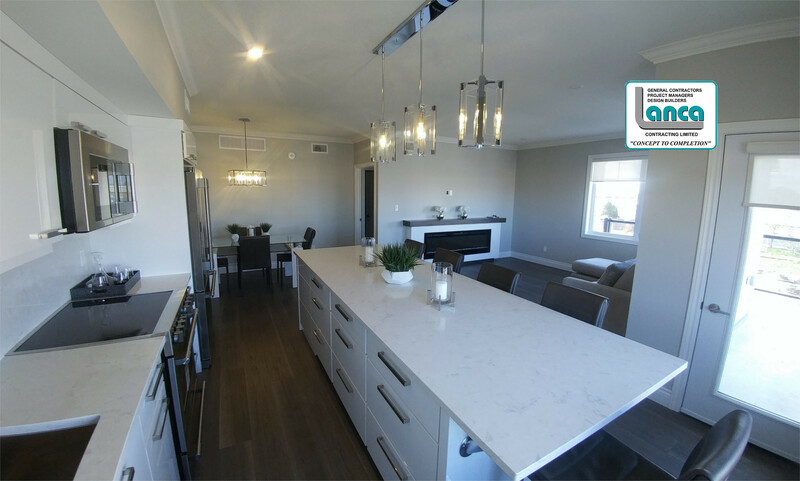 HARRISON FLATS – LUXURY CONDOMINIUMS – PHASE 2 – LANCA Contracting Ltd.
Lanca is proud to announce its latest condominium completion, Harrison Flats Phase Two. 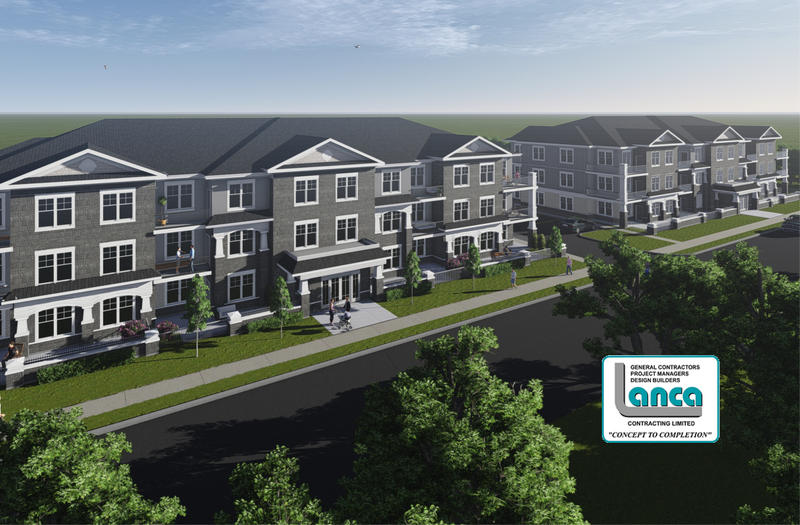 Following a successful completion of Phase One, Lanca was awarded the Design-Build contract for Phase Two. 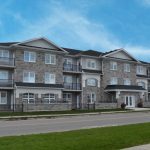 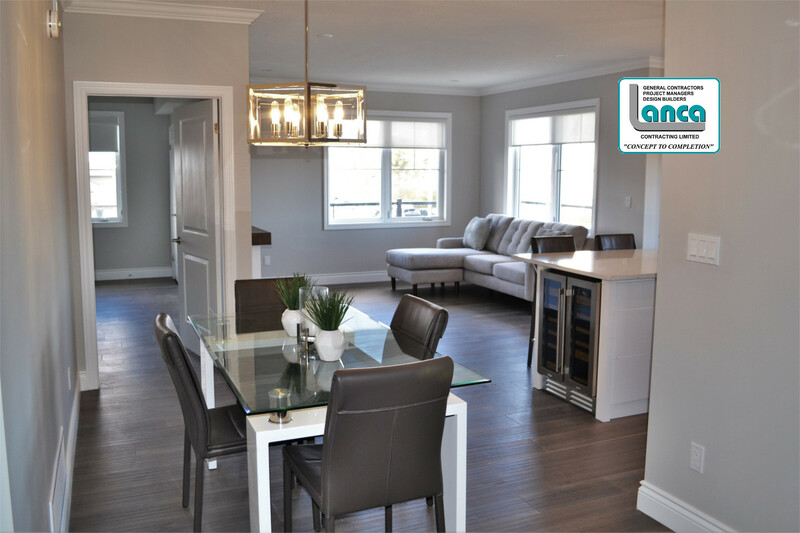 From “concept to completion” this 24 unit condominium was completed on time and within budget allowing the building to be 100% sold out prior to substantial completion. 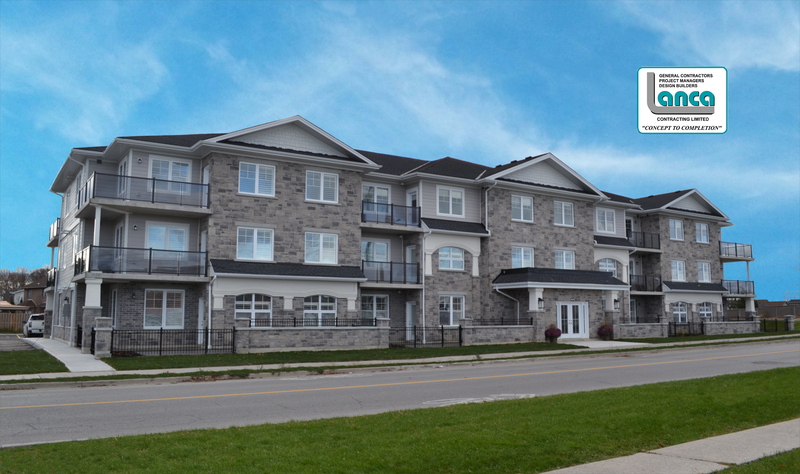 Strategically placed within walking distance to most amenities, Harrison Flats promotes a maintenance free and carefree lifestyle. 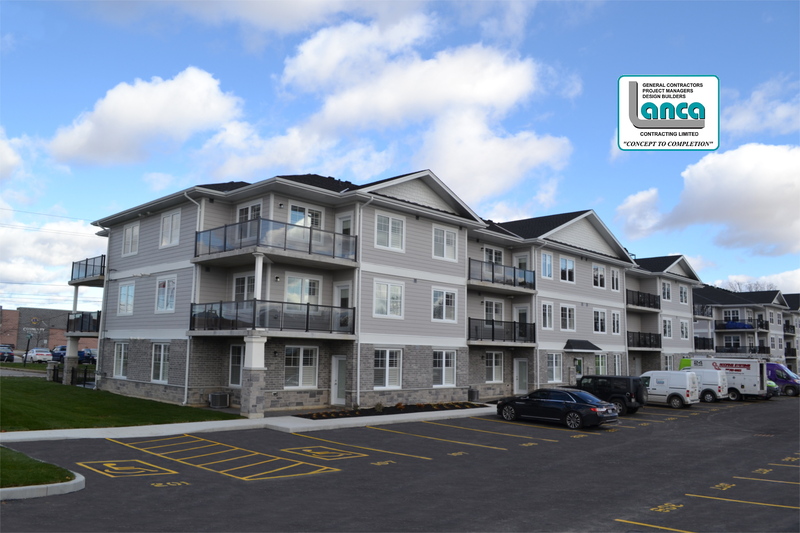 The exterior of the building is accented with stone veneer, pre-finished cement board siding, and glass balconies expressing classic and modern flare to its fullest.